Do you remember checking out “How to Draw” books from the library when you were a child? Chances are they were created by Ed Emberley. 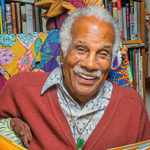 Emberley is a prolific artist and author who has created well over 100 books in a career that spans more than 60 years. Though he may be best known for his drawing books, they truly comprise only a small fraction of his entire body of work. In 1960, Emberley wrote and illustrated his first book, The Wing on a Flea. It was published by Little, Brown and Company and made its market debut in 1962. Reception to the book about shapes was stellar: It was named one of The New York Times 10 Best Illustrated Books of the Year and was an ALA Notable Book. Although he found success early, Emberley was no one-hit wonder. 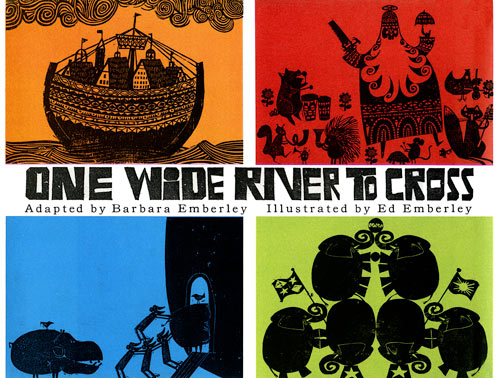 In 1966, the book he co-created with his wife, One Wide River to Cross (Prentice-Hall, 1966), received a Caldecott Honor. 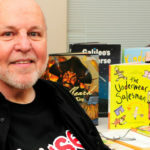 And Drummer Hoff (Prentice-Hall, 1967), created by both Ed and Barbara Emberley, received the Caldecott Medal the following year. Because it can take years to create picture books with elaborate woodcuts or intricate illustrations, Emberley decided to fill in the gaps with smaller book projects. His first idea? To create a quick drawing book for kids. In 1970, Ed Emberley’s Drawing Book of Animals (Little, Brown) debuted, and it literally sold more than a million copies. 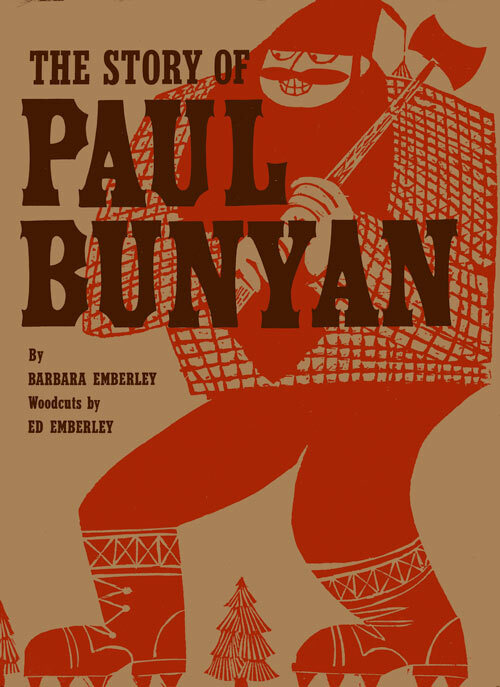 This was followed with several additional titles like Ed Emberley’s Make a World (Little, Brown, 1972) and Ed Emberley’s Drawing Book of Faces (Little, Brown, 1975). Since then Emberley has continued to create more drawing books as well as work on detailed picture books. A few years back when Two Little Birds Books was just beginning, the Emberleys were considering reissuing some of Emberley’s out-of-print titles through the press. However, they were not the only ones. Design superstar Todd Oldham had discovered a vintage copy of Ed Emberley’s Little Drawing Book of Trains, Birds, the Farm, and Weirdos (Little, Brown, 1973) and knew he had found something special. “I was instantly charmed and dazzled by how smart it looked and by the simple, brilliant method Ed had distilled that assures all that they can draw.” Oldham became the champion behind a project to create a monograph of Emberley’s work, Ed Emberley (AMMO Books, 2014).